Spring Tine kit – An essential option for almost all surfaces, and highly recommended even for silica sand surfaces, to prevent hard spots appearing. Aerates & agitates the surface to ensure correct orientation of fibres or surface material. Available pre-fitted on delivery, or as a retro-fit option should your grading requirements change in the future. The MG250 Manége Grader will ensure the perfect equestrian riding and schooling surface with any arena surface material. With optional attachments to allow use on rubber crumb, wood chip and fibre-stabilised sand, the Ménage Grader will maintain any surface. Available as a towed / trailed unit, for use behind any ATV, UTV, 4×4 or compact tractor, the surface grader is exceptionally quick and easy to use, giving a consistent surface finish every time. 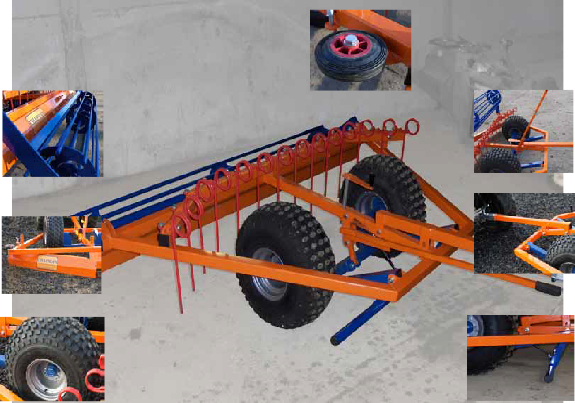 Wheel track levellers fitted on all machines ahead of the large flotation tyres enable a smooth ‘one-pass’ grading process, perfect for busy equestrian centres or events where time is at a premium. Easy to operate transport & working modes with infinite depth adjustment save you effort whilst grading your arena. Maintaining your Investment Arenas, sand schools and gallops need regular and careful maintenance to ensure you get the best from your investment, whether it a new arena, or just a new surface on an existing base. The MG250 surface leveller enables quick and efficient levelling of the ruts and marks left after use, on sand, rubber, waxed & fibre-stabilised surfaces of all types. 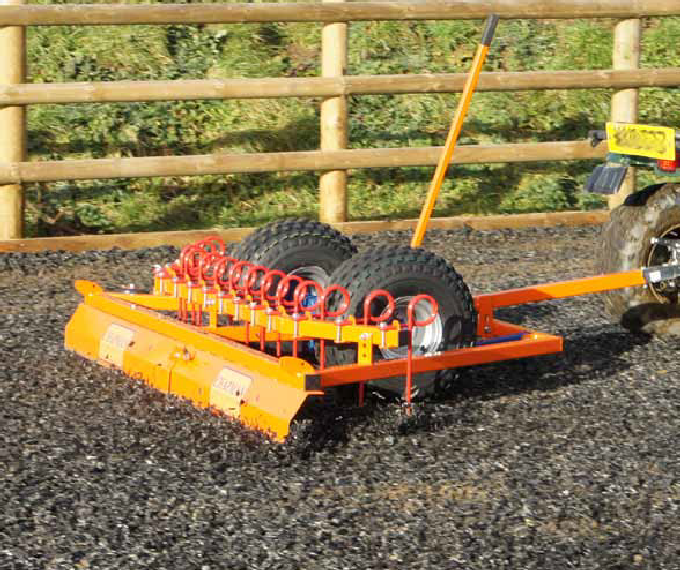 Ideal for use behind you existing ATV / Compact Tractor, the MG250 manege grader with its 2.4m (8’) working width & tough spring tines allow you to maintain your arena quickly and efficiently.